This is probably just me coming off of the high of seeing the new movie I Feel Pretty, but there is something about this outfit that totally gives me confidence. I’m a little embarrassed to admit that I don’t often think, or especially say that out loud. This brings me to my next thought – that is not ok! I’ve never been the pillar of confidence, which probably sounds strange coming from someone who shares photos of myself to the world online. Bloggers definitely present like we have it all together, but truth is, we don’t. If you haven’t noticed by now, I pretty much wear jeans or pants in the majority of my posts. Let’s be real, I wear jeans pretty much every day of my life. I’ve never been a fan of my legs for various reasons, and I’m making a public statement right here and now that that needs to change. Toward the end of the movie, Amy Schumer’s character talks about how when we were little girls, we didn’t care if our belly hung over our pants. As an adult, and one who has a daughter who watches my every move, I really need to move past my hang ups about my legs. As I’m reading this back, I realized that this is certainly not my typical outfit post. 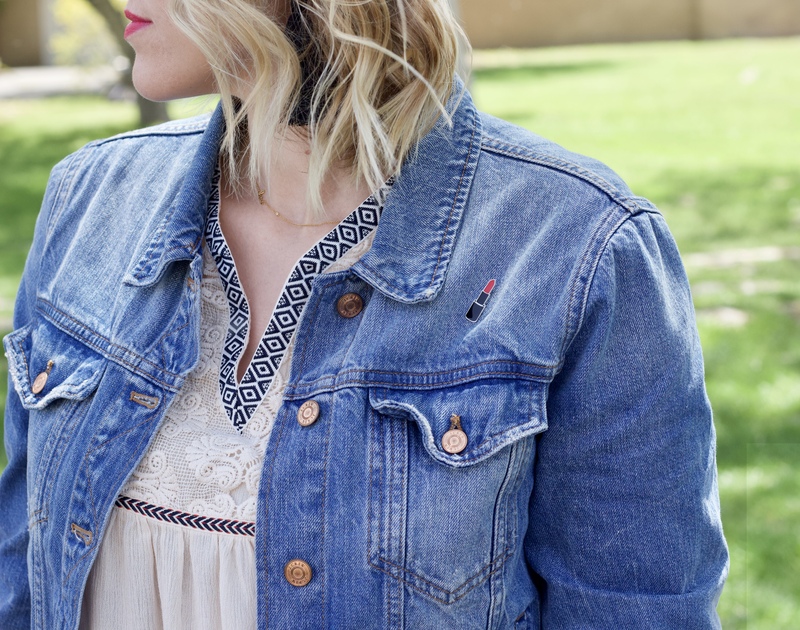 I could have sat here and talked about this embroidered tank, and how much I loooove this denim jacket (which I totally do). 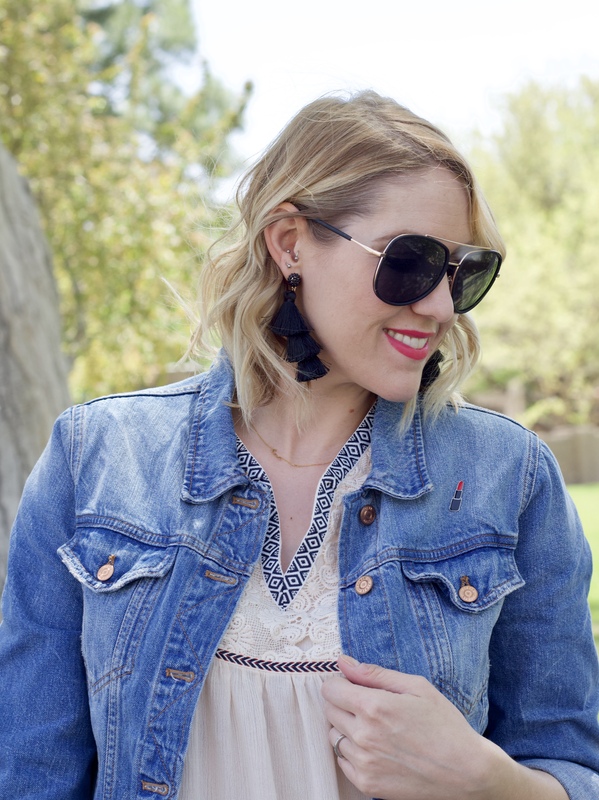 Doing things differently is not something that comes easily to me, but today’s post just felt right and I had to go with it! Bottom line – do and wear what makes you feel good! Don’t make excuses for yourself, and make sure there are zero F’s given. 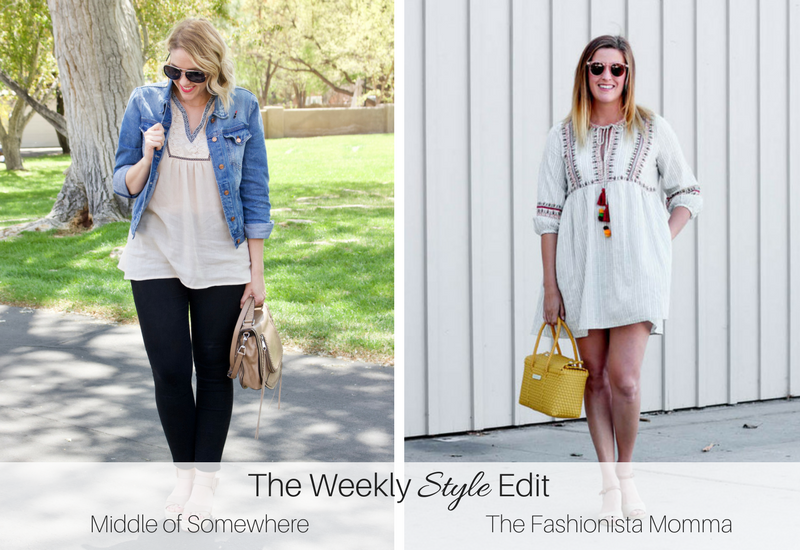 And while you’re at it, make sure you link up with Megan and I for The Weekly Style Edit at the end of the post!